birthday | Half Heart. Whole Life. Cause for Celebration: The Twins Turn Two! Today is a big, big, big day: Nolan & Grant are two years old! Man, I can’t believe how fast time flies. Not a day goes by where I look at them and I just can’t believe that we have twins; lately I’ve been saying I just can’t believe they’re going to be two years old. It’s been some two years: a 3am rush to the hospital for a c-section, both boys in the NICU, surgeries for Nolan, running back and forth to the hospital, Grant starting preschool, Nolan starting preschool…it’s been quite a run so far for those two little knuckleheads of mine! I’ve enjoyed every minute with these two guys: I love to see them walk, to hear them babble, and even to scold one another when they do something “not nice” (which is hilarious). Grant is really into art and Nolan seems to be really into animals. Grant is like a wrecking ball while Nolan is the sneakier of the two. They’ve definitely changed our life and I wouldn’t trade them for anything! This weekend that passed, we had a cookie exchange birthday party at our house for the twins and it was a blast. Lots of kids, lots of noise, lots of sweets, and lots of friends. It was a really great time and for me was a good way to celebrate the twins with all the people who invested in them since they came into this world. Thanks to everyone for all you’ve done for us and the twins! These two years have been amazing, boys…have a happy happy happy birthday and I can’t wait to enjoy so many more years with you both! December 10, 2013 was a HUGE day. 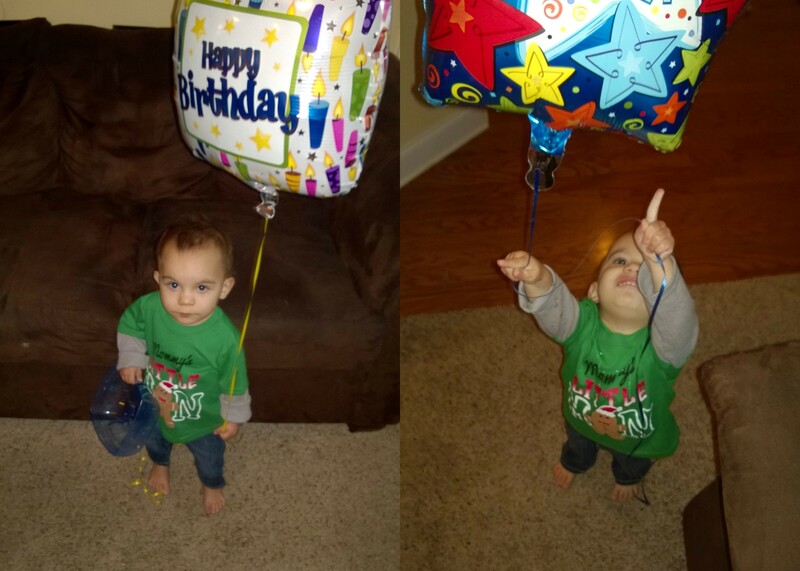 Our twins, Grant and Nolan, both turned 1! It’s always cool to see your kids grow up, develop, and learn new things. 2013, however, added so much more to that equation. 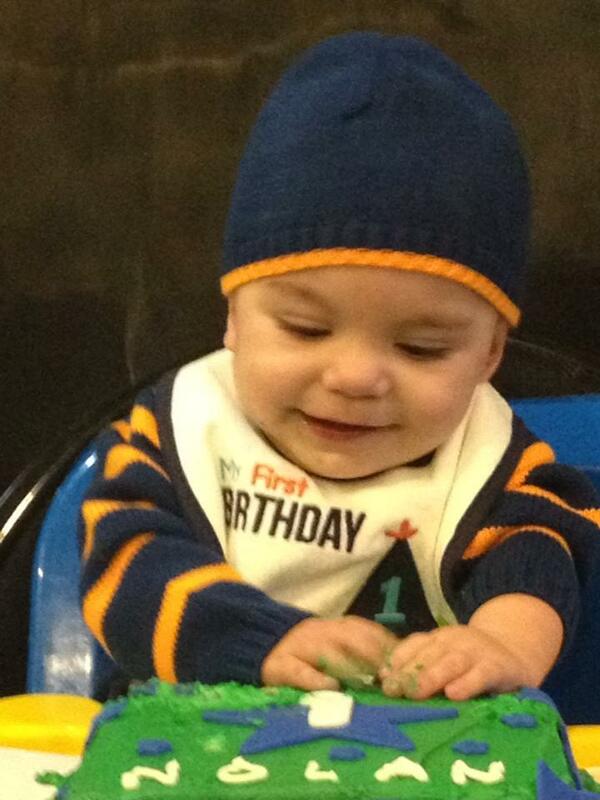 There was a time where I was so scared that our Nolan would never see his first birthday. I was worried about what his life would be like. We’d heard stories about kids who didn’t make it and I was so grateful that our boy was with us and doing well. So yes, it was a big day. We had a little birthday party for the boys at a local coffee shop who let us use their meeting space. It was fun: we had friends and family there, including a 3-year old HLHS boy who Nolan met at therapy. The twins loved all the attention and they also loved the cake! Celebrating with those two was a whole lot of fun. Each and every birthday after this will continue to be more awesome, because it proves God is a good God, and continues to watch over both our little guys, especially Nolan. It’s good to never forget everything we’d been through that year, but it’s even better to look ahead with hope and a positive attitude. 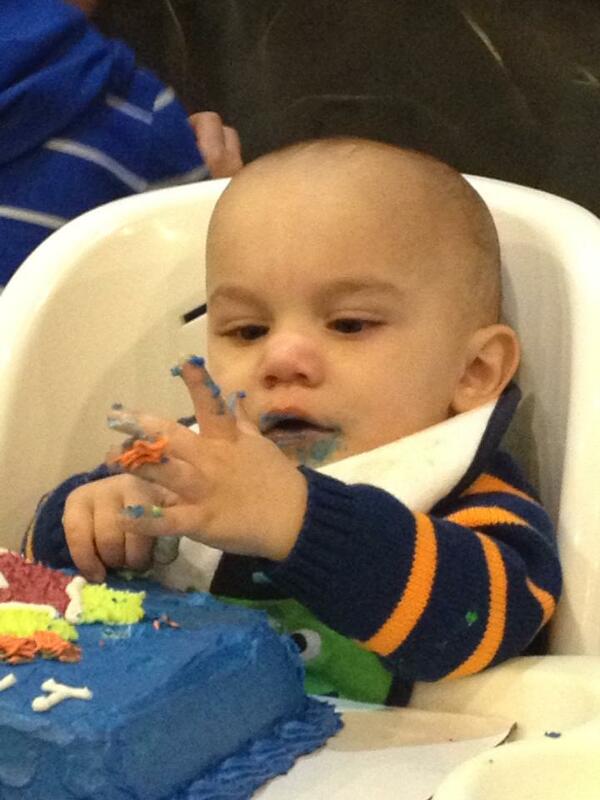 I’m hoping that by next year Nolan will be mouth-feeding so he can destroy some cake all he wants, and that he will be walking around and having just as much fun as everyone else. Nolan continues to do great: he’s making strides with speech therapy and physical therapy, he’s gaining weight…life is good for our little man!